Explore the numerous day-trip ideas around Lisbon: Sintra (Park and National Palace of Pena & Quinta da Regaleira). Dedicate the 5th (Mon) to wine at some of the top wineries in the area. There's still lots to do: get to know the fascinating history of Belém Tower, pause for some photo ops at Padrao dos Descobrimentos, take a stroll through Alfama, and make a trip to Santa Justa Lift. For maps, other places to visit, photos, and other tourist information, read Lisbon tour itinerary planner. Porto Alegre, Brazil to Lisbon is an approximately 14-hour flight. You can also do a combination of bus and flight. The time zone difference moving from Brasilia Time (BRT) to Western European Time (WET) is 3 hours. Prepare for somewhat warmer weather when traveling from Porto Alegre in August: high temperatures in Lisbon hover around 35°C and lows are around 20°C. Cap off your sightseeing on the 7th (Wed) early enough to travel to Milan. On the 7th (Wed), admire the landmark architecture of Galleria Vittorio Emanuele II, then contemplate in the serene atmosphere at Duomo di Milano, then contemplate the long history of Castello Sforzesco, and finally get to know the fascinating history of Piazza del Duomo. Get ready for a full day of sightseeing on the next day: test your problem-solving skills at popular escape rooms, then explore and take pictures at Stadio Giuseppe Meazza (San Siro), and then steep yourself in history at Il Cenacolo. For more things to do, other places to visit, and other tourist information, you can read our Milan trip planner. You can fly from Lisbon to Milan in 6 hours. Alternatively, you can drive; or do a combination of bus and train. The time zone changes from Western European Time (WET) to Central European Time (CET), which is usually a 1 hour difference. In August in Milan, expect temperatures between 34°C during the day and 22°C at night. Wrap up your sightseeing on the 9th (Fri) early enough to drive to Bergamo. To find traveler tips, other places to visit, ratings, and more tourist information, you can read our Bergamo tour itinerary builder . You can drive from Milan to Bergamo in an hour. Alternatively, you can take a train; or take a bus. In August, daytime highs in Bergamo are 33°C, while nighttime lows are 21°C. You will leave for Brescia on the 9th (Fri). Kick off your visit on the 9th (Fri): take in the architecture and atmosphere at Duomo Vecchio di Brescia, then examine the collection at Tempio Capitolino e Piazza del Foro, and then get engrossed in the history at Museo di Santa Giulia. To see maps, traveler tips, photos, and other tourist information, read our Brescia road trip app . You can drive from Bergamo to Brescia in an hour. Alternatively, you can take a bus; or take a train. August in Brescia sees daily highs of 35°C and lows of 20°C at night. Wrap up your sightseeing by early afternoon on the 9th (Fri) to allow enough time to take a train to Verona. 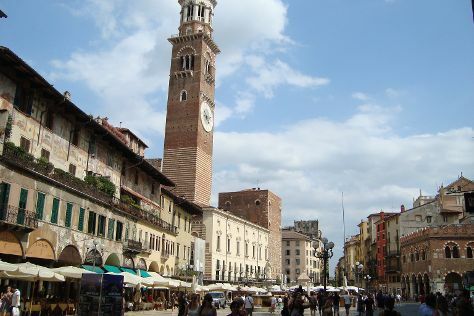 Plan a trip to Verona easily and quickly by telling Inspirock to suggest an itinerary. Traveling by train from Brescia to Verona takes an hour. Alternatively, you can drive; or take a bus. In August, daytime highs in Verona are 35°C, while nighttime lows are 20°C. Finish up your sightseeing early on the 9th (Fri) so you can go by car to Vicenza. Famous for its abundance of 16th-century architecture designed by Andrea Palladio, Vicenza was coined the City of Palladio. For traveler tips, reviews, where to stay, and more tourist information, you can read our Vicenza trip itinerary builder tool . Traveling by car from Verona to Vicenza takes an hour. Alternatively, you can take a bus; or take a train. Traveling from Verona in August, expect nights in Vicenza to be about the same, around 24°C, while days are slightly colder, around 32°C. You will leave for Venice on the 9th (Fri). On the 10th (Sat), contemplate the waterfront views at Canal Grande, snap pictures at Ponte di Rialto, snap pictures at Ponte dei Sospiri, admire the striking features of Doge's Palace, then contemplate the long history of St Mark's Campanile, and finally browse the collection at Museo Correr. Get ready for a full day of sightseeing on the 11th (Sun): appreciate the extensive heritage of St. Mark's Square, admire the landmark architecture of Basilica di San Marco, then admire the masterpieces at Peggy Guggenheim Collection, and finally admire the landmark architecture of Scala Contarini del Bovolo. To see traveler tips, other places to visit, ratings, and tourist information, you can read our Venice trip itinerary planner . Getting from Vicenza to Venice by car takes about an hour. Other options: take a train; or take a shuttle. In August, daytime highs in Venice are 34°C, while nighttime lows are 22°C. Finish your sightseeing early on the 12th (Mon) so you can travel to Gorizia. Gorizia is a town and comune in northeastern Italy, in the autonomous region of Friuli Venezia Giulia. For more things to do, traveler tips, where to stay, and other tourist information, use the Gorizia visit planner. Traveling by car from Venice to Gorizia takes 2 hours. In August, daily temperatures in Gorizia can reach 35°C, while at night they dip to 20°C. On the 12th (Mon), you'll travel to Ljubljana. On the 12th (Mon), snap pictures at Tromostovje and then step into the grandiose world of Ljubljana Castle. To see reviews, photos, more things to do, and more tourist information, use the Ljubljana holiday maker tool . Traveling by car from Gorizia to Ljubljana takes 1.5 hours. Traveling from Gorizia in August, things will get slightly colder in Ljubljana: highs are around 31°C and lows about 15°C. Wrap up your sightseeing by early afternoon on the 12th (Mon) to allow time for the car ride to Novo Mesto. Novo Mesto is the city on a bend of the Krka River in the City Municipality of Novo Mesto in southeastern Slovenia, close to the border with Croatia. To see where to stay, ratings, traveler tips, and tourist information, you can read our Novo Mesto trip planner . Traveling by car from Ljubljana to Novo Mesto takes an hour. In August, daytime highs in Novo Mesto are 32°C, while nighttime lows are 17°C. On the 13th (Tue), you're off toSamobor. Samobor is a city in Zagreb County, Croatia. To find more things to do, traveler tips, photos, and more tourist information, refer to the Samobor route maker website . You can drive from Novo Mesto to Samobor in an hour. In August, plan for daily highs up to 32°C, and evening lows to 17°C. On the 12th (Mon), you're off toZagreb. Kick off your visit on the 13th (Tue): test your team's savvy at popular escape rooms, get the lay of the land with Walking tours, then contemplate in the serene atmosphere at St. Mark's Church (Crkva sv. Marka), and finally examine the collection at Museum of Broken Relationships. Keep things going the next day: don't miss a visit to Tkalciceva, admire the striking features of Cathedral of the Assumption, stroll the grounds of Mirogoj Cemetery, then see the interesting displays at Zagreb 80's Museum, and finally get to know the fascinating history of Upper Town (Gornji Grad). For ratings, maps, more things to do, and other tourist information, you can read our Zagreb trip itinerary maker . Traveling by car from Samobor to Zagreb takes an hour. Expect a daytime high around 32°C in August, and nighttime lows around 17°C. Finish your sightseeing early on the 15th (Thu) so you can drive to Varazdin. Varaždīn is a city in Northern Croatia, 81km north of Zagreb. For ratings, photos, reviews, and more tourist information, read Varazdin trip planner . Traveling by car from Zagreb to Varazdin takes 1.5 hours. Expect a daytime high around 32°C in August, and nighttime lows around 17°C. You will leave for Nagykanizsa on the 16th (Fri). Nagykanizsa is a medium-sized city in Zala County in southwestern Hungary. To find ratings, traveler tips, where to stay, and tourist information, use the Nagykanizsa trip itinerary planning app . Traveling by car from Varazdin to Nagykanizsa takes an hour. In August, plan for daily highs up to 32°C, and evening lows to 17°C. On the 15th (Thu), wrap the sightseeing up by early afternoon so you can travel to Siofok. Siófok is a city in Hungary on the southern bank of Lake Balaton in Somogy County. For maps, more things to do, where to stay, and tourist information, you can read our Siofok route builder site . Traveling by car from Nagykanizsa to Siofok takes 1.5 hours. In August, plan for daily highs up to 32°C, and evening lows to 20°C. Wrap up your sightseeing on the 15th (Thu) to allow time to drive to Szekesfehervar. The city of Székesfehérvár, located in central Hungary, is one of the largest cities in the country. To find other places to visit, more things to do, reviews, and other tourist information, use the Szekesfehervar trip itinerary planning tool . You can drive from Siofok to Szekesfehervar in an hour. Alternatively, you can take a train; or take a bus. In August, daytime highs in Szekesfehervar are 32°C, while nighttime lows are 20°C. You will leave for Budapest on the 15th (Thu). Kick off your visit on the 16th (Fri): steep yourself in history at Fisherman's Bastion, take in the spiritual surroundings of Matthias Church, then take in the views from Szechenyi Chain Bridge, then contemplate in the serene atmosphere at St. Stephen's Basilica (Szent Istvan Bazilika), and finally admire the landmark architecture of Parliament. Start your trip to Budapest by creating a personalized itinerary on Inspirock. Getting from Szekesfehervar to Budapest by car takes about an hour. Other options: take a train; or take a bus. August in Budapest sees daily highs of 32°C and lows of 18°C at night. Wrap up your sightseeing on the 17th (Sat) to allow time to travel to Tatabanya. Tatabánya is a city of 67,753 inhabitants in northwestern Hungary, in the Central Transdanubian region. Plan my trip to Tatabanya with suggested itineraries provided by Inspirock. Traveling by car from Budapest to Tatabanya takes an hour. In August, daytime highs in Tatabanya are 33°C, while nighttime lows are 17°C. You will leave for Gyor on the 17th (Sat). Győr is the most important city of northwest Hungary, the capital of Győr-Moson-Sopron County and Western Transdanubia region, and—halfway between Budapest and Vienna—situated on one of the important roads of Central Europe. Start off your visit on the 17th (Sat): contemplate in the serene atmosphere at Benedictine Church, make a trip to Mary Column, and then make a trip to Gyor Old Town Area. Ask Inspirock to suggest an itinerary and make planning a trip to Gyor fast, fun, and easy. You can drive from Tatabanya to Gyor in an hour. In August in Gyor, expect temperatures between 32°C during the day and 16°C at night. Wrap up your sightseeing by early afternoon on the 17th (Sat) to allow time for travel to Mosonmagyarovar. Mosonmagyaróvár is a town in Győr-Moson-Sopron county in northwestern Hungary. To find ratings, where to stay, photos, and more tourist information, use the Mosonmagyarovar trip itinerary website . Drive from Gyor to Mosonmagyarovar in an hour. Expect a daytime high around 32°C in August, and nighttime lows around 18°C. Wrap up your sightseeing on the 17th (Sat) early enough to travel to Bratislava. On the 18th (Sun), take a stroll through Bratislava Old Town, take in the spiritual surroundings of St. Martin's Cathedral (Dom svateho Martina), and then explore the historical opulence of Devin Castle (hrad). To see ratings, where to stay, and other tourist information, read Bratislava journey planner . Traveling by car from Mosonmagyarovar to Bratislava takes an hour. In August in Bratislava, expect temperatures between 32°C during the day and 18°C at night. Cap off your sightseeing on the 19th (Mon) early enough to go by car to Vienna. Kick off your visit on the 19th (Mon): see the interesting displays at Imperial Palace (Hofburg), then take in nature's colorful creations at Schonbrunn Palace, and then contemplate the long history of St. Mary's on the Bank (Maria Am Gestade). Here are some ideas for day two: pause for some serene contemplation at St. Stephen's Cathedral, then explore the world behind art at Kunsthistorisches Museum Wien, then admire the striking features of Belvedere Palace, and finally contemplate in the serene atmosphere at Church of the Jesuits. To find photos, ratings, more things to do, and tourist information, read Vienna online trip itinerary builder . You can drive from Bratislava to Vienna in an hour. Alternatively, you can take a bus; or take a train. In August, daytime highs in Vienna are 31°C, while nighttime lows are 18°C. Wrap up your sightseeing on the 21st (Wed) early enough to take a train to Brno. To see ratings, reviews, maps, and other tourist information, use the Brno road trip website . Take a train from Vienna to Brno in 1.5 hours. Alternatively, you can take a bus; or drive. In August, daily temperatures in Brno can reach 30°C, while at night they dip to 17°C. You'll set off for Jihlava on the 23rd (Fri). Jihlava is a city in the Czech Republic. On the 21st (Wed), don't miss a visit to Radnice and then admire nature's wide array of creatures at Zoo Jihlava. For maps, photos, other places to visit, and tourist information, read Jihlava trip itinerary tool . Traveling by car from Brno to Jihlava takes an hour. Alternatively, you can take a bus; or take a train. August in Jihlava sees daily highs of 28°C and lows of 16°C at night. Wrap up your sightseeing by early afternoon on the 21st (Wed) to allow enough time to drive to Prague. Start off your visit on the 21st (Wed): snap pictures at Charles Bridge and then get great views at Prague Astronomical Clock. To find more things to do, other places to visit, maps, and tourist information, read our Prague driving holiday planner. You can drive from Jihlava to Prague in 1.5 hours. Other options are to take a bus; or take a train. In August, plan for daily highs up to 28°C, and evening lows to 16°C. Finish up your sightseeing early on the 23rd (Fri) so you can go by car to Pilsen. The birthplace of one of the world's favorite beer brands, Pilsen features a compact city center packed with museums, galleries, churches, restaurants, and pubs. Ask Inspirock to suggest an itinerary and make planning a trip to Pilsen fast, fun, and easy. You can drive from Prague to Pilsen in an hour. Other options are to take a bus; or take a train. In August, plan for daily highs up to 28°C, and evening lows to 15°C. You will leave for Amberg on the 25th (Sun). For ratings, traveler tips, photos, and other tourist information, you can read our Amberg online travel planner . You can drive from Pilsen to Amberg in 1.5 hours. In August, daily temperatures in Amberg can reach 28°C, while at night they dip to 13°C. Wrap up your sightseeing by early afternoon on the 23rd (Fri) to allow enough time to drive to Nuremberg. 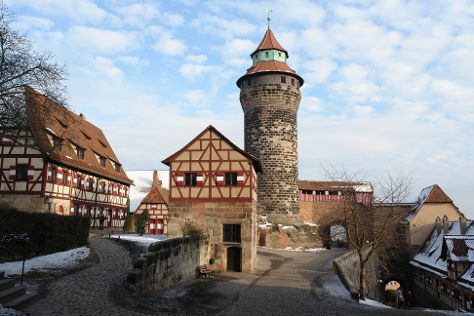 For other places to visit, reviews, photos, and more tourist information, refer to the Nuremberg road trip tool . Traveling by car from Amberg to Nuremberg takes an hour. In August, daytime highs in Nuremberg are 28°C, while nighttime lows are 14°C. Finish your sightseeing early on the 23rd (Fri) to allow enough time to take a train to Ingolstadt. Ingolstadt is a city in the Free State of Bavaria, in the Federal Republic of Germany. To find reviews, more things to do, other places to visit, and more tourist information, go to the Ingolstadt trip maker tool . Ingolstadt is very close to Nuremberg. August in Ingolstadt sees daily highs of 29°C and lows of 16°C at night. You'll set off for Munich on the 23rd (Fri). To see more things to do, where to stay, ratings, and more tourist information, refer to the Munich trip planner . Drive from Ingolstadt to Munich in an hour. Alternatively, you can take a train; or take a bus. In August in Munich, expect temperatures between 28°C during the day and 14°C at night. You'll set off for Memmingen on the 24th (Sat). Memmingen is a town in Swabia, Bavaria, Germany. For reviews, more things to do, other places to visit, and tourist information, read our Memmingen travel planner . Traveling by car from Munich to Memmingen takes 1.5 hours. In August, plan for daily highs up to 27°C, and evening lows to 15°C. On the 27th (Tue), you'll travel to Bregenz. Bregenz is the capital of Vorarlberg, the westernmost federal state of Austria. On the 24th (Sat), don't miss a visit to Bregenz Festival. For reviews, traveler tips, where to stay, and more tourist information, you can read our Bregenz trip itinerary planning tool . Traveling by car from Memmingen to Bregenz takes an hour. August in Bregenz sees daily highs of 29°C and lows of 18°C at night. Wrap up your sightseeing by early afternoon on the 24th (Sat) to allow enough time to drive to Dornbirn. Dornbirn is a city in the Austrian state of Vorarlberg. For maps, more things to do, other places to visit, and other tourist information, read our Dornbirn attractions website . Dornbirn is just a stone's throw from Bregenz. In August, plan for daily highs up to 29°C, and evening lows to 18°C. You will leave for Vaduz on the 24th (Sat). To see reviews, where to stay, other places to visit, and tourist information, you can read our Vaduz trip itinerary website . Drive from Dornbirn to Vaduz in an hour. You will leave for Zurich on the 24th (Sat). On the 25th (Sun), get engrossed in the history at Swiss National Museum, take in the spiritual surroundings of Fraumünster Church, and then contemplate the waterfront views at Lake Zurich. On the next day, take in the dramatic scenery at Rhine Falls, pause for some serene contemplation at Grossmunster, and then wander the streets of Old Town (Altstadt). For other places to visit, maps, reviews, and other tourist information, go to the Zurich tour site . Getting from Vaduz to Zurich by car takes about 1.5 hours. Other options: take a train. In August in Zurich, expect temperatures between 28°C during the day and 16°C at night. Finish your sightseeing early on the 27th (Tue) so you can drive to Lucerne. To find other places to visit, maps, and other tourist information, read our Lucerne day trip planning website . You can drive from Zurich to Lucerne in an hour. Other options are to take a train; or take a bus. In August, plan for daily highs up to 28°C, and evening lows to 16°C. On the 30th (Fri), you'll travel to Lugano. 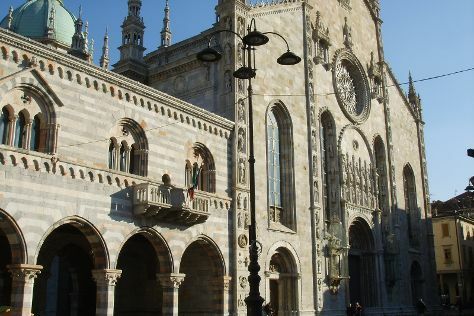 Kick off your visit on the 27th (Tue): don't miss a visit to Piazza della Riforma, then make a trip to Chiesa San Rocco Lugano, and then tour the pleasant surroundings at Parco Civico. For photos, reviews, more things to do, and more tourist information, you can read our Lugano journey website . Traveling by car from Lucerne to Lugano takes 2 hours. Alternatively, you can take a train; or do a combination of train and flight. Traveling from Lucerne in August, expect somewhat warmer with lows of 20°C in Lugano. Cap off your sightseeing on the 27th (Tue) early enough to catcht the bus to Como. To find more things to do, traveler tips, other places to visit, and other tourist information, read Como trip itinerary maker tool . Como is just a short distance from Lugano. In August, daily temperatures in Como can reach 33°C, while at night they dip to 20°C. Cap off your sightseeing on the 27th (Tue) early enough to catch the train to Milan. For ratings, photos, other places to visit, and other tourist information, you can read our Milan holiday planner. Traveling by train from Como to Milan takes an hour. Alternatively, you can drive. 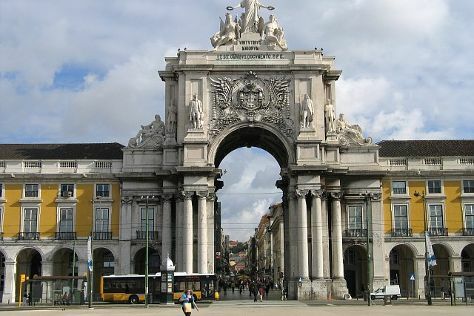 On the 28th (Wed), you'll travel to Lisbon. Use Inspirock's suggestions to plan your Lisbon trip and find the best activities and attractions for your vacation. You can fly from Milan to Lisbon in 6 hours. Alternatively, you can drive; or do a combination of train and bus. The time zone difference moving from Central European Time to Western European Time is minus 1 hour. On the 28th (Wed), you'll have the morning to explore before heading back home.